The Indian government is taken aback and upset by what it considers a betrayal by friends, including Russia, whom New Delhi had hoped would steer it to a seat on the United Nations Security Council in the 70th year of the world body’s founding. India had hoped that the 70th anniversary of the formation of the United Nations would be the ideal time to reform and expand the UN in keeping with realities of the 21st century. It had particularly hoped that India would find a permanent place in a duly expanded UN Security Council, given its economic growth, its international standing and its record as a participating member of the world body. What had particularly raised hopes was the fact that UN General Assembly President Sam Kutesa achieved what observers saw as a breakthrough, by circulating a text to UN members to form the basis for the negotiations on the reform of the Security Council. Kutesa had also appointed Jamaica's Permanent Representative Courtenay Rattray to chair on his behalf the Intergovernmental Negotiations on Security Council Reform. 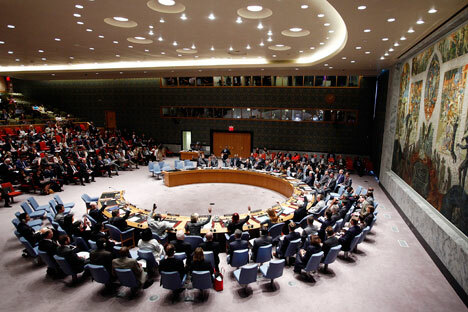 However, the United States, along with Russia and China, opposed any negotiations to reform the powerful UNSC by refusing to contribute to a text that will form the basis for the reform process, which is already long overdue. India saw this move by the US and Russia, both of whom have publicly declared support for India’s candidature for a permanent seat at the UN’s high table, as a setback and indeed, a betrayal by friends. According to sources in the government, China’s move was along expected lines, but New Delhi had counted on support from Washington and Moscow, both of whom decided not to push for it. The sources said Indian Prime Minister Narendra Modi would raise the matter when he visits New York for the 70th anniversary commemoration of the UN. Russia, which has publicly and repeatedly supported India's candidature as permanent member of the UNSC, said in its letter to UNGA President Kutesa that the "prerogatives of the current Permanent Members of the Security Council, including the use of the veto, should remain intact under any variant of the Council reform". "The intergovernmental negotiations on the UN Security Council reform should proceed in a calm, transparent and inclusive atmosphere free from artificial deadlines," Vitaly Churkin, Russian Ambassador to the UN, said. “In effect, this statement allows the process of talking about reforms to carry on endlessly, with no chance of a resolution, possibly not in our life time,” said a senior source in the Indian government. India has maintained that the process to expand the powerful UN body "cannot be seen to be an exercise ad infinitum" and a results-based timeline is crucial to achieve a concrete outcome. "Those who ask for not imposing artificial timelines may be advised to desist from inflicting artificial delays on this process," India's Ambassador to the UN, Asoke Kumar Mukerji said. India has said it would find it very difficult to meaningfully engage with an unending process. New Delhi has stressed that 2015 "is a year for decisive action" and for it, another round of inter-governmental negotiations, with no deadlines, as in the past, would "not be acceptable." Samantha Power, America’s Permanent Representative to the UN, said in her letter to Kutesa that, while the US is "open in principle" to a "modest" expansion of both permanent and non-permanent members,” "we believe that consideration of new permanent members must be country-specific in nature." She also categorically stated that the US was opposed to "any alteration or expansion of the veto". Sources told the news agency Press Trust of India in New York that the US opposition to aspects of the reform process can be perceived as "duplicity," since President Barack Obama had reaffirmed his support for a reformed UN Security Council with India as a permanent member. Sources said that India thought that the 70th anniversary of the UN, being commemorated this year, would be an appropriate milestone to power UN reforms, making it reflective of geopolitical realities of 2015, not 1945. If begun this year, New Delhi hoped the process could be completed within the time frame of a year. According to reports from New York, Russia said that in the situation when positions of the main groups of states - those who support the idea of the UN Security Council's expansion in both categories and those who do not - remain polar, one can advance in the negotiating process only by searching for a compromise. It said that while it supports broader representation of the developing countries from Africa, Asia and Latin America on a reformed Security Council, it is important to maintain compact composition of the Council in order for it to provide an adequate and prompt reaction to new challenges. "The number of members in an enlarged UNSC should not exceed a reasonable level of low twenties," Churkin said in his letter. China said UNSC reform is "multifaceted", covering not only issues such as enlarging the Council's membership and strengthening representation, but also increasing efficiency and improving working methods. It added that Member States are still seriously divided on the Security Council reform and no general agreement has been reached on any solution so far. India did, however, receive support from the other two permanent UNSC members France and Britain. The two nations, along with Kazakhstan and Romania, have specifically named in the negotiating text Brazil, Germany, India, Japan and an African representative to be included among the permanent members of a reformed UN Security Council.